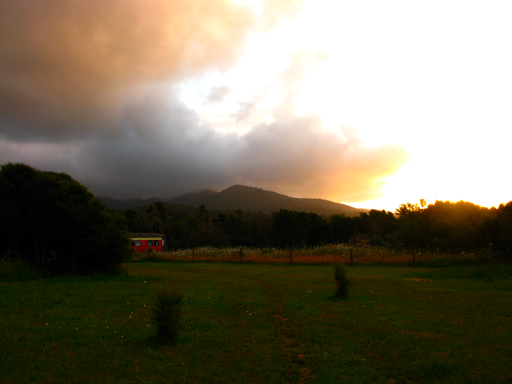 Martin, who also owns a Canon G9, reminded me how much I miss my camera. The insurance report is being filed, so maybe some time this year we will be able to afford to replace it. Unfortunately the G9 is no longer produced, meaning that the insurance company will need to give us enough money to by the new G10? Let’s hope so. Until then, here are some shots of the evening from martin’s camera. 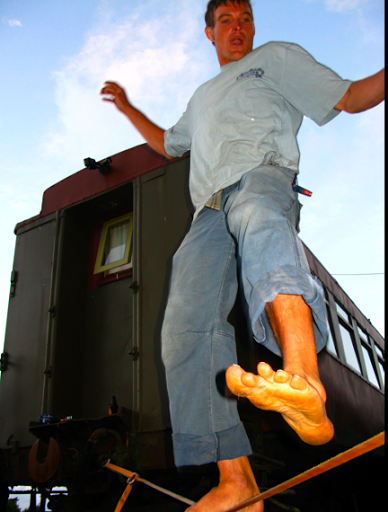 Slacklining is an international sport. See their website if you don’t believe me. There is even a slackline wizard. Do you think there’s a slackline warlock? Maybe I can put that down as occupation when I apply to extend my visa in June. It’s harder than it looks. The turn-around took me a week to master (although for two of those days I was couch-ridden due to illness). I’m still working on the sit-down and the jump-on. I live a very difficult life. 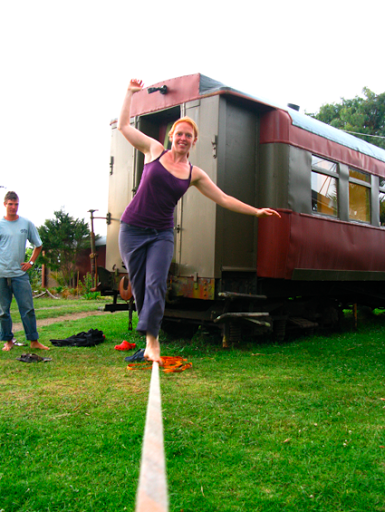 Between the caboose and the slacklining it looks as though you have run off to join the circus. Should we look for you when the Big Apple Circus comes to town?